Sendtember in Istria! With good climbing conditions also hard routes go down one by another. 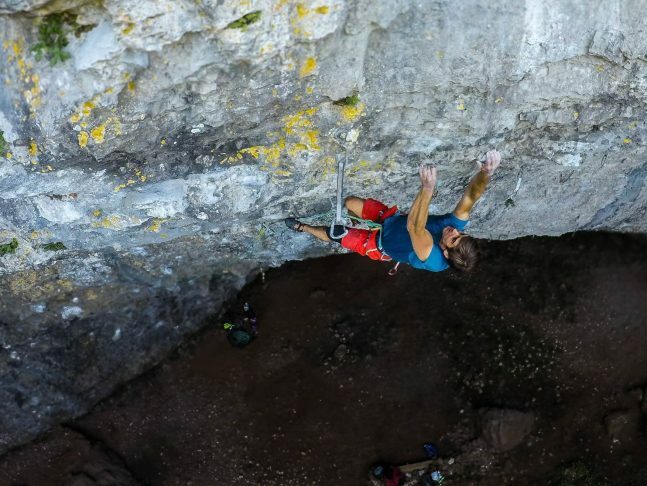 Yesterday, German Martin Wagner made a first ascent of a new combination in Baratro. He started in La Supercanna (8b+), did its hardest boulder in the middle of the route and before the rest he continued to the right into the endurance part of La peste nera (8b+). This way he established La Super Nera and proposed a grade of 8c. It is his first 8c, so he is not really sure about the grade and he is welcoming all the strong climbers to repeat it soon and confirm his grade proposal. In Buzetski kanjon, in summer sector Befana, Marko Kalčič from Pula climbed his hardest route to date, the beautiful Chica Latina (8b+). It is Klemen Bečans route from couple of years ago which was downgraded from 8c and repeated by Goran Matika, some days ago by Gianfranco Dušič and now also by Marko. Thumbs up! The weather forecast for the next week looks just perfect, so for sure more and more climbing news will follow. The top season for climbing in Istria is about to start, so if you want to book your accommodation, check https://www.climbistria.com/accommodation/ and make a reservation soon!